South Korea and the US stated on 16 October that the latest missile launch by North Korea ended in a failure after the projectile reportedly exploded soon after liftoff. 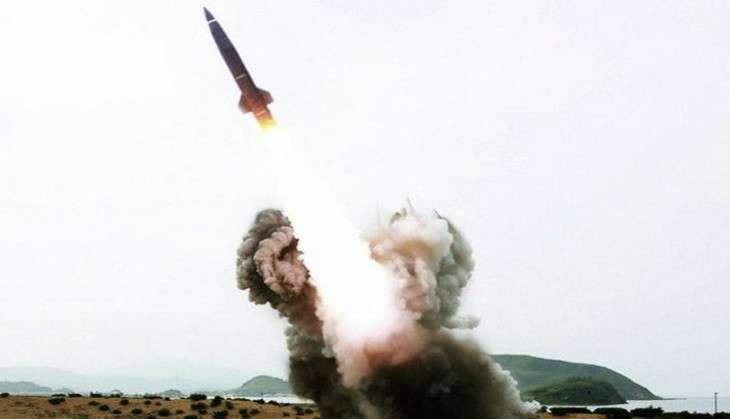 The South Korean Joint Chiefs of Staff said in a statement that the military believes the North unsuccessfully attempted to fire a mid-range Musudan missile. It said the failed launch was made near an airport in the North's North Pyongan province. South Korea's Yonhap news agency said that the missile was believed to have exploded soon after liftoff. Yonhap cited no source for this information. South Korea strongly condemns the launch because it violates UN Security Council resolutions that ban any ballistic activities by North Korea, the statement said. The US military first reported the launch was attempted at 11:33 pm EDT Friday (12:03 pm Saturday local time) and that the missile didn't pose a threat to North America. The action brought harsh criticism from the US. "We strongly condemn this and North Korea's other recent missile tests, which violate UN Security Council Resolutions explicitly prohibiting North Korea's launches using ballistic missile technology," said Cmdr Gary Ross, a Pentagon spokesman. He said the US would raise concerns at the UN. "Our commitment to the defense of our allies, including the Republic of Korea and Japan, in the face of these threats, is ironclad," Ross said. "We remain prepared to defend ourselves and our allies from any attack or provocation." Japan has expressed concern over the launches, and Defense Minister Tomomi Inada said Sunday that she wants to work in cooperation with the U.S. and South Korea to assure her country's security. North Korea has claimed technical breakthroughs in its goal of developing a long-range nuclear missile capable of reaching the continental United States. South Korean defense officials have said the North doesn't yet have such a weapon. It's the latest in a series of moves by North Korea aimed apparently at displaying a show of force. As recently as last month, it fired three ballistic missiles off its east coast, timed to get the attention of world leaders including President Barack Obama who were visiting the region for a series of summits. The UN Security Council subsequently condemned those North Korean launches and threatened "further significant measures" if it refused to stop its nuclear and missile tests. North Korea also conducted its fifth nuclear test last month and in all has launched more than 20 ballistic missiles this year, part of its program aimed at improving the delivery system for nuclear weapons. Earlier this year, North Korea successfully launched a Musudan missile in June after several failed attempts.